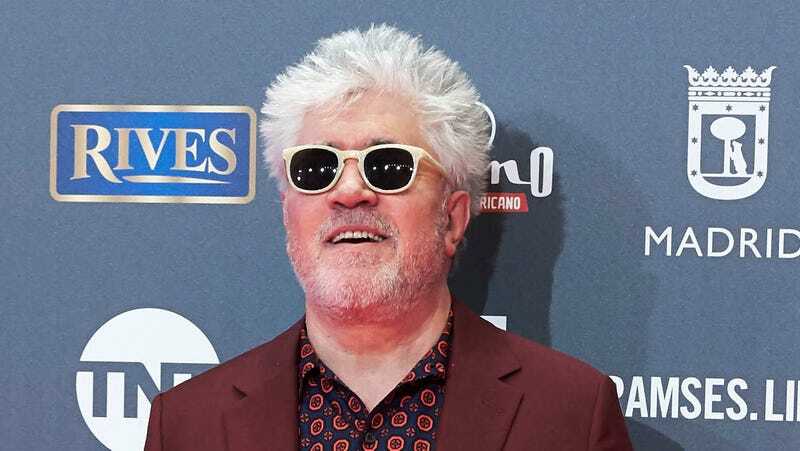 Pedro Almodovar, the genius behind Women on the Verge of a Nervous Breakdown, Tie Me Up! Tie Me Down!, Bad Education, and Volver, has announced his next project, which sounds like a late-career return to form after 2016's underwhelming Julieta and the critical disaster, I’m So Excited (which I never even saw and sort of feel bad about). The new film, Dolor y Gloria (that’s Pain and Glory in English), will reportedly star two of the Spanish director’s greatest standbys: Penelope Cruz and Antonio Banderas. Based on Dolor y Gloria’s initial description, found on the site of his production company El Deseo, the film will cover all the subjects Almodovar’s best movies cover, namely: “first loves, second loves, a mother, mortality, actors with whom the director has worked, the sixties, the eighties and the present.” Can you scream, “Yaaaaas, daddy”? I can, and I will! Celebrate this wonderful news about one of film’s greatest living auteurs by watching WotVoaNB’s classic gazpacho-flinging scene. Did Pedro Almodóvar Save Penelope Cruz&apos;s Career?